MOSCOW, August 15. /TASS/. Preparations are being made for a meeting between Russian representatives and US National Security Adviser John Bolton, which is scheduled to take place in Geneva next week, Kremlin Spokesman Dmitry Peskov confirmed. "Preparations for such a meeting are indeed underway," he said. 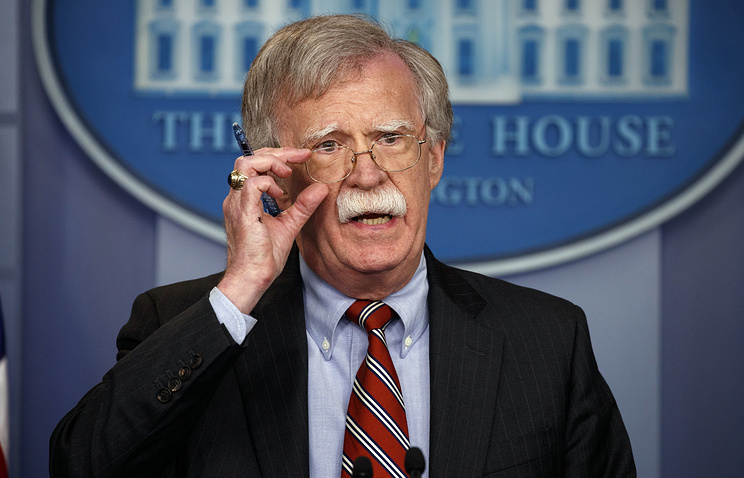 White House Press Secretary Sarah Sanders said on August 14 that Bolton would meet with representatives of Israel and Ukraine, as well as with his Russian counterpart, in Geneva next week. The Russian Security Council’s office said earlier that there were plans to arrange a meeting between Security Council Secretary Nikolai Patrushev and Bolton, but no possible locations and dates were announced. Russian Security Council First Deputy Secretary Yuri Averyanov held talks with Bolton in Moscow on June 27, discussing the prospects for cooperation between the two countries’ security councils.